Country music star Jason Aldean and wife Brittany's baby girl, Navy Rome, has made her big debut! Congrats! 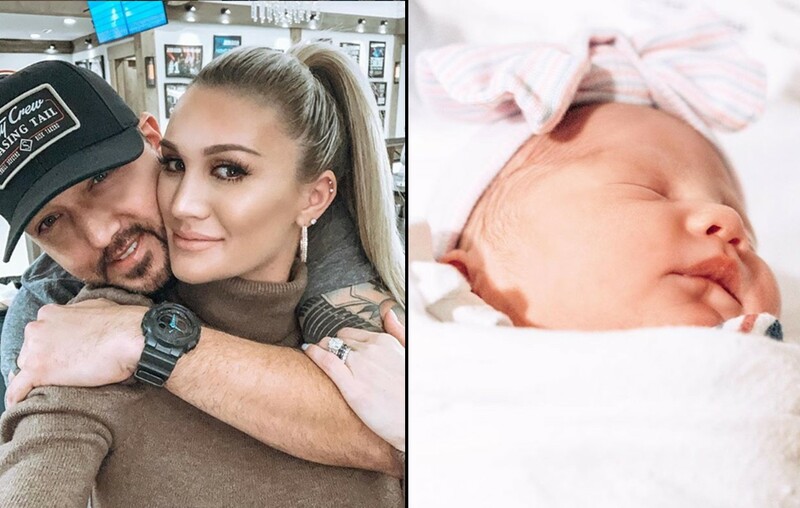 Country music superstar Jason Aldean and wife Brittany welcomed their first daughter together, Navy Rome, into the world today! “Today our family became complete as we welcomed our daughter Navy Rome to the world. Born on 2/4/19 weighing 7lbs 12oz and looking identical to her older brother. So excited to watch what life has in store for this little princess. 👸🏼,” Jason shared via social media along with a cute snapshot of the newborn. “We welcomed our daughter Navy Rome into the world today at 12:45pm✨ 7lbs 12oz of pure preciousness💕 We love you so much baby girl! !,” proud momma Brittany also added via Instagram. Congrats to Jason, Brittany, Memphis, Kendyl, and Keeley! Be sure to share this happy news with other fans of this country music family!